Notes: These Beanie Babies were originally sold in the memory of Ariel Glaser, who died of AIDS at the age of 7. The money raised from the sale of the Ariel Beanie Babies were donated to The Elizabeth Glaser Pediatric AIDS Foundation. 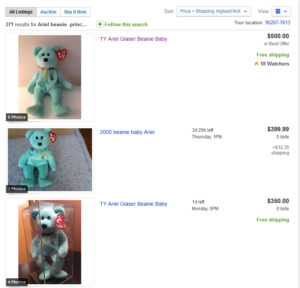 Despite these Beanie Babies not being worth very much today, lot’s of money was raised for the Foundation. 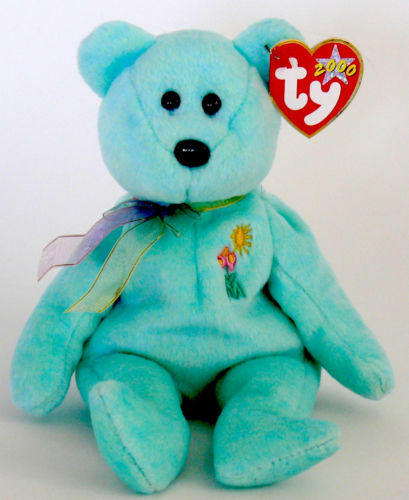 Over the years Ty Warner has donated millions of dollars to charity through the sale of special Beanie Babies. 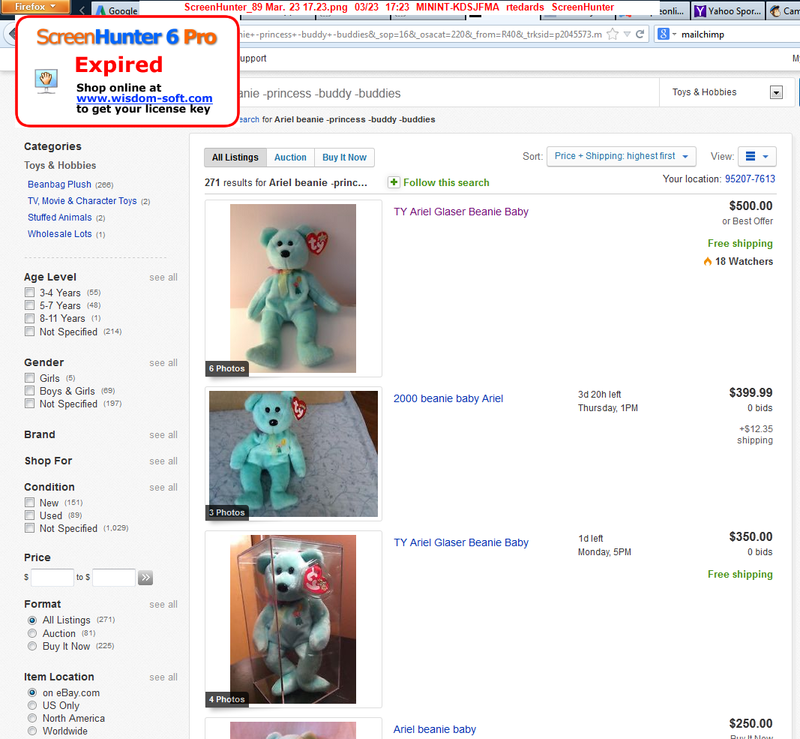 On eBay you will see many people who have high listing prices for the Ariel Beanie Babies. Don’t be fooled by those prices, none of them are worth the money.